As we wrap up the end of summer and kick off another school year, I dreaming of summer vacations and time away relaxing. Towards the end of Summer, I start to look forward to the usual school year routine. And then it hits full force with school supply shopping, a thousand permission slips that are due tomorrow, and back to regular soccer practices and games. 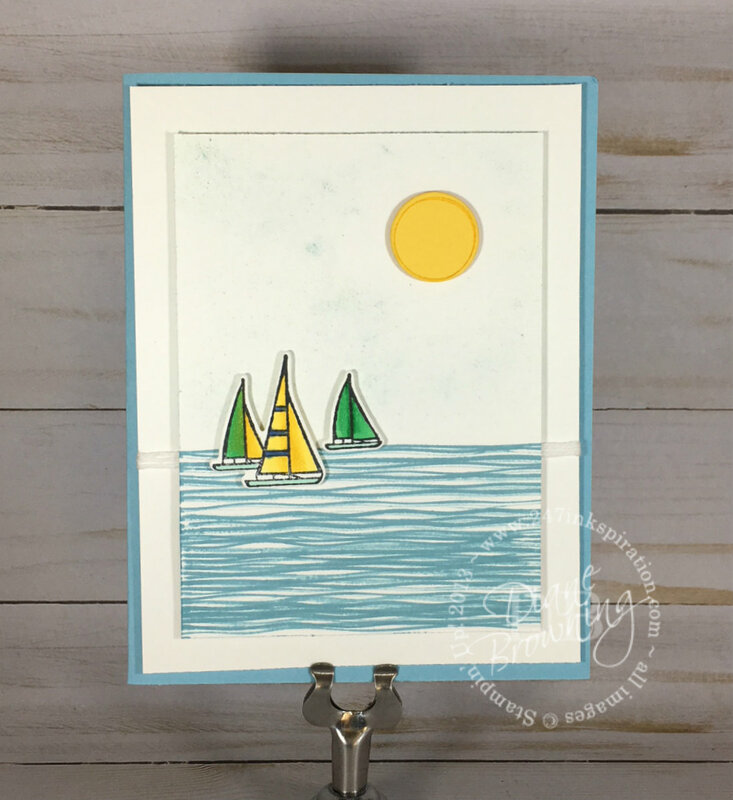 As I sign my fourth permission slip for the evening, I’m quietly thinking how nice it would be to be at the lake watching sail boats go by. Here’s to a brand new school year, full of possibilities! Let’s go get em! Today is the last day of our Bonus Days special. This is a great chance to stock up on what you need now, and then get something at a discount in September. For every $50 you spend before August 31 (before shipping and tax), you will earn a $5 Bonus Days coupon code that can be used September 1–30. 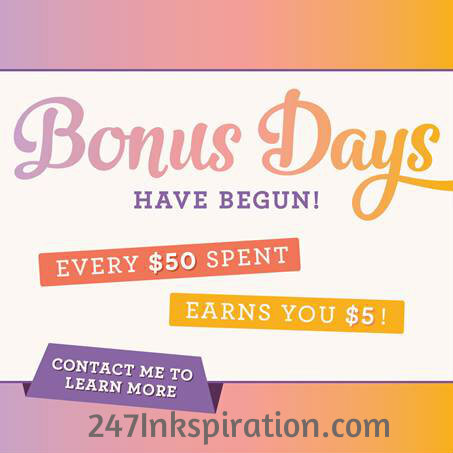 There is no limit to the amount of $5 Bonus Bucks you can earn and they can all be used at the same time! The Bonus Buck coupons are sent out by email to you once you place your order. 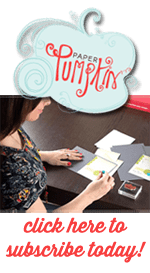 Make sure you keep that email in a safe place as Stampin Up does not track those coupon codes. Today is the last day for the Color Your Season promo! Tomorrow will be too late to get these amazing products!